I provide in home and long distance Feng Shui Consultations (Facetime, GoToMeeting, WhatsApp, Duo -video chat ) for Homes and Businesses. I review floor plans for businesses and homes, home buyers, builders , developers and real estate people. Having trouble selling a home? A new home needs energizing? Need more love and romance, need to boost your career, need more happiness, need more motivation? Feng Shui can help you with any of the above and improve the energy and efficiency of your business and the productivity of your employees. Feng Shui is an ancient Chinese philosophy that believes that different sections in our home/ business represent different areas of our life (wealth, career, fame, love and relationship, travel, children, knowledge etc) and if your home or business is missing a section or if the energy is blocked in a certain section, it effects that area of your life. Feng Shui helps us enhance our lives by bringing harmony and balance in our surroundings. It promotes the positive energy flow resulting in better health, wealth, love, happiness and success and healthy family relationships, business relationships, preservation or growth of financial wealth and harmony. I work directly with the client and together we examine the issues and discuss the most effective adjustment for each situation. The adjustments and Feng Shui cures recommended are practical and simple and uplifts and tweaks the energy situated in your living or business space. Feng Shui uses different colors, symbolism in the form of art to enhance different areas of your life. 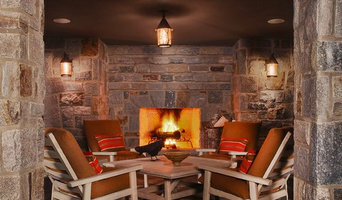 By integrating my Interior Design and Decorating knowledge with my knowledge of Feng Shui, I provide my clients with unique solutions to enhance the various areas of their lives. Scaled floor plans are a must for all consultations. A good home design professional will hone your style down to its very essence and be able to choose a functional layout that feels natural to you. Interior design companies can be involved as much or as little as the client desires. Many clients who hire an interior decorator in Lincoln Park, MI — particularly those who are remodeling — have a good sense of how the room should look and what products they should use. Often clients will insist that interior decorators use the products already present in the house. Other times a designer will need to start from scratch — especially if this is a newly purchased or just-built home. An interior design company will need to figure out exactly what the client needs, which includes organizing rooms, picking flooring and wall colors, and finding furniture to complement it all. Sometimes that means he or she will have to recruit help from other Lincoln Park, MI home professionals to help create the perfect look for your renovation. Here are some related professionals and vendors to complement the work of interior designers & decorators: Architects & Building Designers, General Contractors, Home Builders, Design-Build Firms, Photographers. 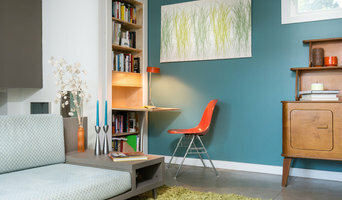 Do your research before meeting with an interior designer or home decorator in Lincoln Park, MI. Ask yourself what you want your space to become and what it will be used for. Figure out the extent of what you need help with, what your must-haves are and what your budget is. Interior design services can add up fast, so be up front with a potential design firm or individual from the beginning. Also, pick an interior decorator that fits your style. Browse through the portfolios of different Lincoln Park interior design firms and decide if you would live in those houses. Just because you like something doesn’t mean you could live in it. There's a big difference! Find an interior designer or home decorator in Lincoln Park, MI on Houzz. Narrow your search in the Professionals section to find Lincoln Park interior designers near you. 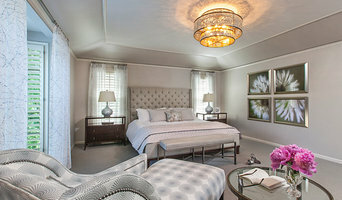 You can also look through Lincoln Park, MI photos to find a room you like, then contact the design firm who designed it.